Heavenly Father, Please fill us. 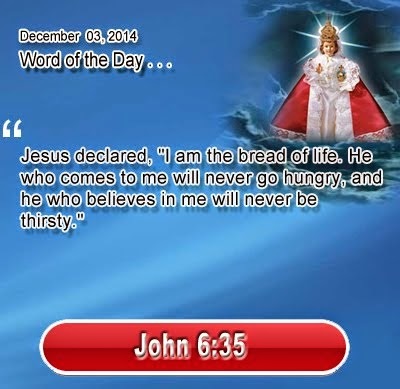 Give us today, our Daily Bread, that we may find life in all its fullness. Precious Lord, Jesus our brother and Savior, fill us and touch us with your presence so that we can serve you by blessing those around us with your grace. In the name of Infant Jesus, our Living Bread, we pray. Amen.